Margolis Vision (Lone Tree) - Book Appointment Online! 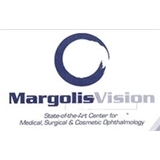 The MargolisVision Difference: When I decided to open my practice, I made the commitment to offer my patients the highest level of care possible. One of the ways I would do this is by outfitting my office with today’s most innovative diagnostic equipment. The state-of-the-art eye exams I perform can help pinpoint eye disease in its earliest stages, even when there are no symptoms present. Another way I provide patients with exceptional care is by affording them the benefits of today’s most advanced medical and surgical solutions for virtually any eye disease or condition.